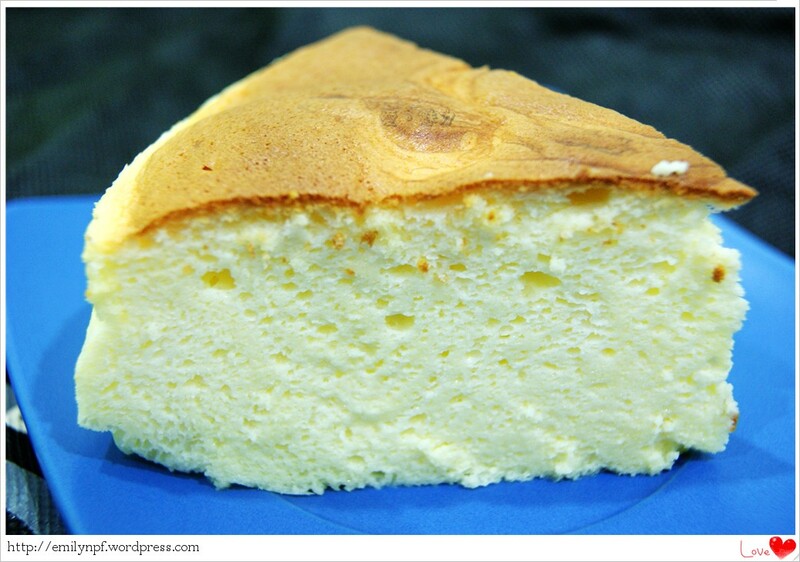 1）奶油起士拌成泥状，再加入30克白糖拌均匀。 Stir cream cheese until creamy, then add 30 grams of sugar, mix well. 2）将蛋黄分三次加入，每一次拌均匀。Adding the egg yolks by three times, mix well each time. 3）加入酸奶油、鲜奶和柠檬汁，拌均匀。 Add in sour cream, milk and lemon juice, mix well. 4）加入面粉拌均匀。 Add in flour and mix well. 5）拿另一个干净的盆，放进蛋白，用搅拌器打至起泡，再加入60克白糖打至硬性发泡。 Take another clean bowl, put in egg white, using a mixer beat until foaming, then add 60g of sugar and beat until stiff. 6）把蛋白糊轻轻拌入蛋黄糊中， 拌均匀。 Gently stir the egg white paste in the egg yolks batter, mix well gently. 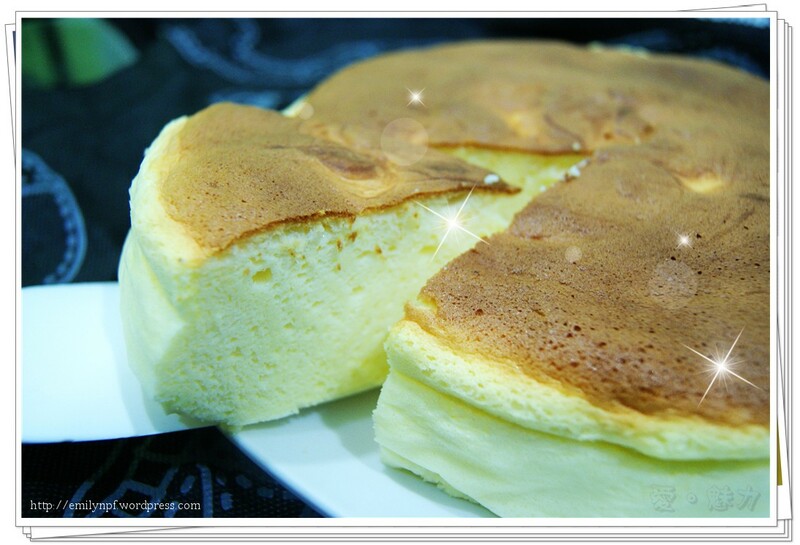 7）倒入铺有烘焙纸的蛋糕模里。Pour the batter into the cake mold covered with baking paper. 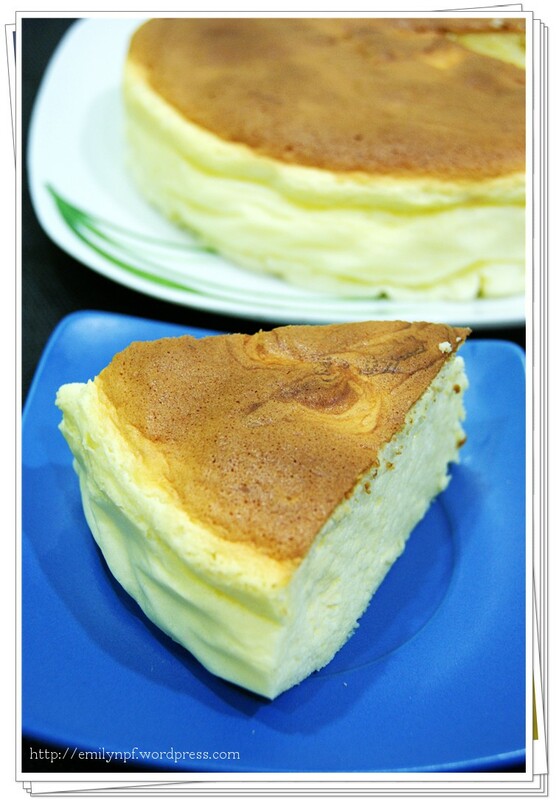 8）用水浴法的方式，进预热烤箱，150度C，烤60分钟。Bake cheesecake in a water bath method at preheated oven, 150°C for 60 minutes. 9）烤好后取出放在网架上待凉。 Cool the cheesecake on a wire rack. 1） 奶油起士一定要放软化，不然很难和其他材料混合。 Be sure to put cream cheese softened, or else difficult to mix with other ingredients. Water bath: A water bath is using a larger pan containing water in which to place the smaller cheesecake baking pan.